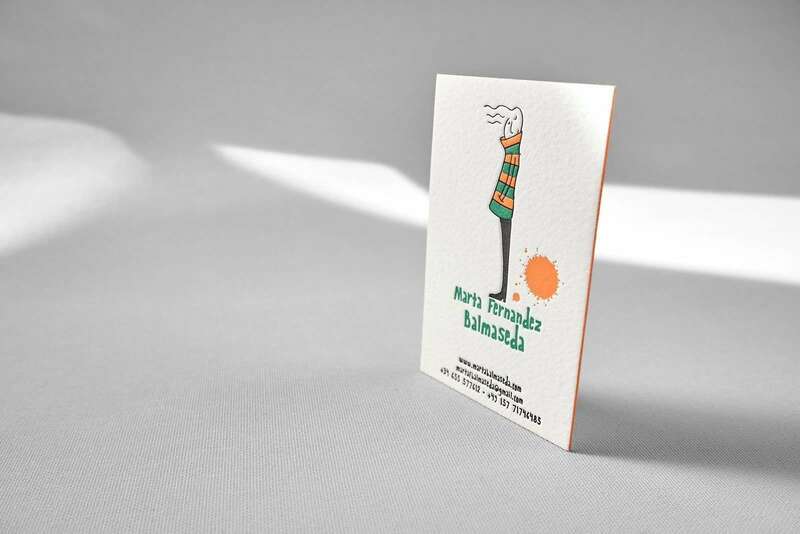 Mostly, when client sends us an artwork file, from the first sight we know that printed business cards will look really impressive. This business card design is not an exception. An illustration on the business card shows a woman in the wind, but still, when you look to this illustration, it feels warm and cozy. Originally illustrated motif on this simple business card makes it look really special and creative. 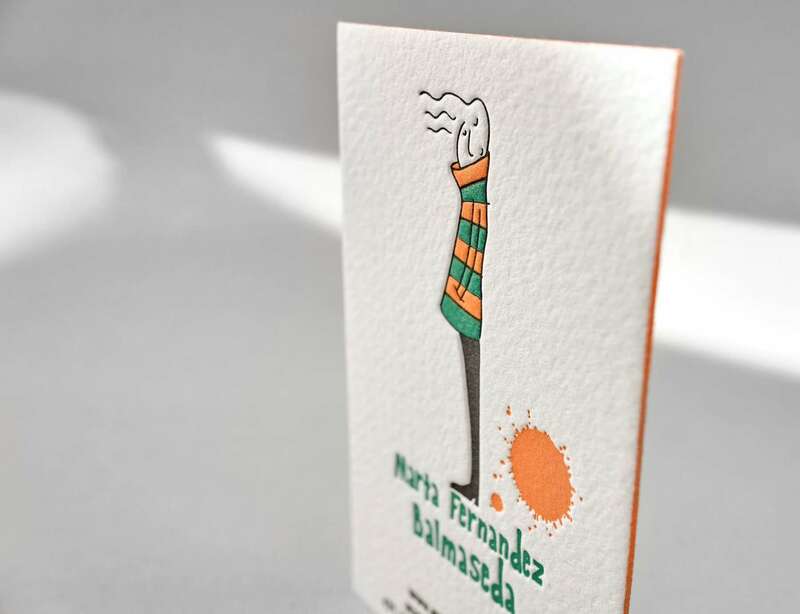 We have printed those business cards for German illustrator and designer Marta Fernandez Balmaseda. We used thick cotton paper that painted edges would look more attractive.